Truck accidents are the most devastating accidents that occur on our roads. Because these commercial vehicles often weigh 20 – 30 times more than passenger cars, accidents involving a tractor trailer or other large truck are more likely to result in death or serious injury. If you have been injured in an accident involving a tractor trailer or other large truck in the state of Florida, you need an experienced truck accident lawyer to represent you. Lawyers who handle truck crash litigation frequently discover that the trucking company imposed unrealistic and unsafe demands on their drivers in an effort to maximize profits while endangering people. Our tractor trailer accident lawyers take pride in recovering substantial compensation for our clients and get great satisfaction in knowing that our efforts make Florida’s roads safer for motorists. Learn more about how the law approaches truck accident negligence, and whether you or someone you know could be eligible for a claim. Achieving a successful result in a tractor trailer trucking accident case demands a detailed knowledge of both State and Federal law. Florida Statutes, Section 316.302 and Section 316.70, contain Florida’s safety requirements that apply to the operation of commercial vehicles on the public highways of the state. They list weight, load and safety requirements. In general, these laws have adopted the Federal Motor Carrier Safety Regulations, as they apply to highway transportation. There are specific exceptions to the federal regulations for vehicles operated strictly in intrastate commerce. Refer to the statutes referenced above for specific requirements and exceptions. The Florida Department of Transportation’s Office of Motor Carrier Compliance enforces these laws. Accidents involving commercial trucks including tractor trailers and semi trucks leave so much devastation in their wake that the Federal Government established the Federal Motor Carrier Safety Administration (“FMCSA”) to pass laws and regulations aimed at reducing the number of truck crashes on our roads. The FMCSA established the Federal Motor Carrier Safety Regulations (Title 49, Parts 350 – 399) which regulate all trucks engaged in interstate commerce. Compensation is dependent on a number of factors. 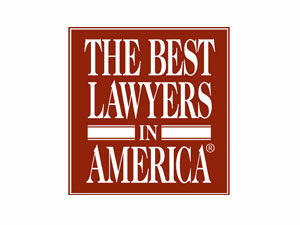 Get an evaluation from an experienced Florida truck accident lawyer. What is the most common cause of Florida truck accidents? Driver fatigue is the number one culprit leading to these terrible crashes. Trucking companies often push their drivers to operate their tractor-trailers for unreasonably long periods without rest. This is a classic example of irresponsible corporations putting profits over people. This definition is not limited to vehicles operated by a “trucking” company. Such vehicles operated by any business or commercial enterprise are subject to the regulations. These are usually large trucks used for business purposes including the transport of commercial goods. They may include eighteen – wheeler tractor trailers, delivery trucks, dump trucks, tanker trucks, moving company trucks, freight trucks, combination trucks, certain construction trucks or vehicles and other large trucks. 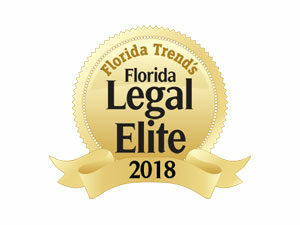 When injuries or death result from truck accidents, a Florida truck accident lawyer should be consulted without delay. How are truck accidents different from other motor vehicle collisions? There are specific laws and regulations that apply only to commercial trucking companies, their trucks and their drivers. There are also complex technical, mechanical, engineering and accident reconstruction aspects to these cases that distinguish them from other motor vehicle accidents. For these reasons, victims should consult an experienced Florida truck accident lawyer as soon as possible after a crash. Are truckers regulated by the Federal Government? Yes. The Federal Motor Carrier Safety Regulations (Title 49, Parts 350 -399) govern tractor-trailers and trucking companies involved in interstate commerce. These standards were established in an attempt to make our roads and highways safer for all motorists. It is important to retain an experienced Florida truck accident lawyer who is familiar with the state and federal regulations. Is a trucking accident more likely to cause serious injury than other automobile crashes? Yes. Accidents involving tractor trailers or other large trucks are more likely to result in serious injury or death than other automobile crashes because these commercial trucks are 20 – 30 times heavier than traditional passenger cars. If I was injured in a truck accident, do I really need a lawyer? Yes. Trucking companies and their commercial insurance companies are well trained in automobile – truck accident investigation and claims handling. These adjusters represent the trucking company and are trying to help them – not you. They will typically do everything in their power to prevent a victim from receiving full, fair and just compensation for their injuries. You need an experienced Florida truck accident attorney to protect your rights. You should not give them any type of statement or sign any papers. Do not even sign releases for medical records, since they may allow the adjuster to speak directly to your doctors without you being present. Large trucking companies have accident investigators that are on call 24/7 and are often sent to the crash scene before the police arrive. While the families of the accident victims are dealing with doctors and hospitals or making funeral arrangements, the trucking company is investigating the accident, destroying evidence and setting up their defenses. Every 16 minutes in the United States another person is injured or killed in a tractor-trailer truck accident. There are over 400,000 accidents involving tractor trailer trucks or other commercial trucks each year in the U.S. Approximately 140,000 people are injured in big rig accidents each year. Approximately 3,700 passenger vehicle occupants are killed each year in accidents with tractor trailers or other commercial trucks. Large trucks, including semi trucks and tractor trailers often weigh 20 – 30 times more than a passenger car. Approximately 700 occupants of large commercial big rig trucks, including tractor trailer trucks, are killed in crashes every year. The most common cause of accidents involving tractor trailers and other large trucks is driver fatigue. The failure to maintain the brake systems on commercial trucks is one of the most common violations of trucking regulations.